SPILLERS®, the trusted manufacturer of one of the nation’s great favourites, SPILLERS Horse & Pony Cubes, has introduced an excellent value sister-product by the name of SPILLERS® Horse & Pony Mix. 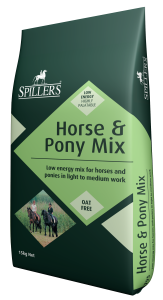 With its uncompromised specification and affordable quality, SPILLERS® Horse & Pony Mix is a great choice for horses and ponies in light to medium work. 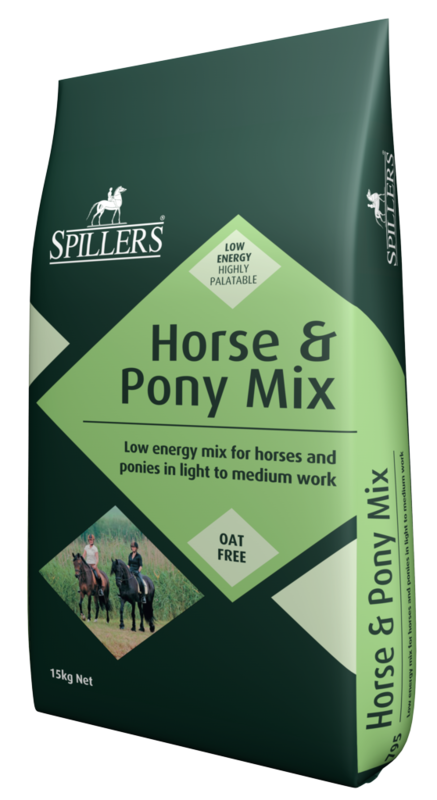 Low energy feeds often have a low all round specification creating the need to add extra supplements but SPILLERS® Horse and Pony Mix is different. It’s a low energy feed designed to provide over 30 carefully formulated nutrients from good quality protein through to trace elements and vitamins that are needed in tiny amounts. It contains sources of digestible fibre to help maintain digestive health, while controlled levels of cereal starch and sugar will help promote positive behaviour. 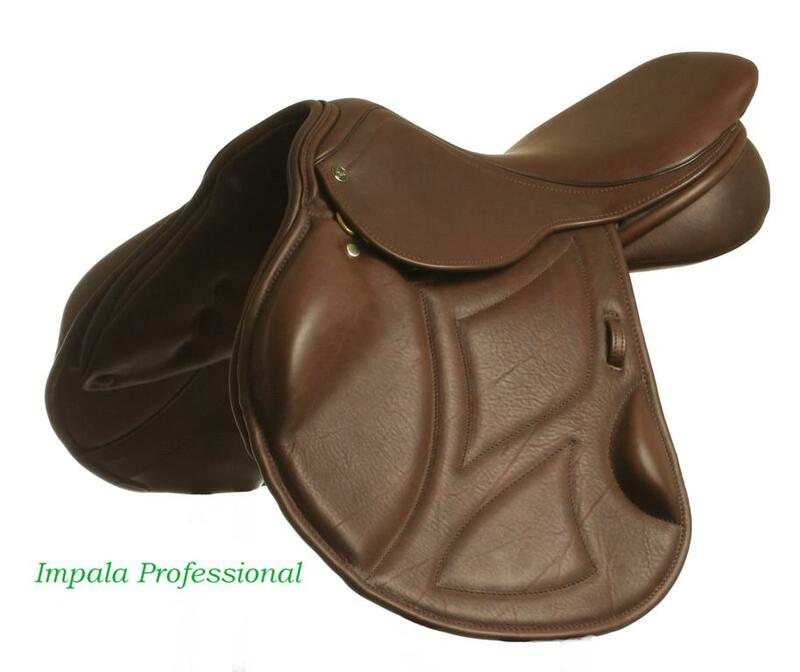 It’s packed with all the vitamins and minerals your horse or pony needs and soya oil for a shiny coat so they’ll be in good healthy on the inside and look great on the outside too. Good nutrition shows – don’t deny your horse the best. SPILLERS® Horse and Pony Mix is uncompromised value, at around £7.99 per bag. Horse and Pony Mix is available from any Mole Valley Farmers, Scats Country Store and CWG.